On this page our pets are shown. 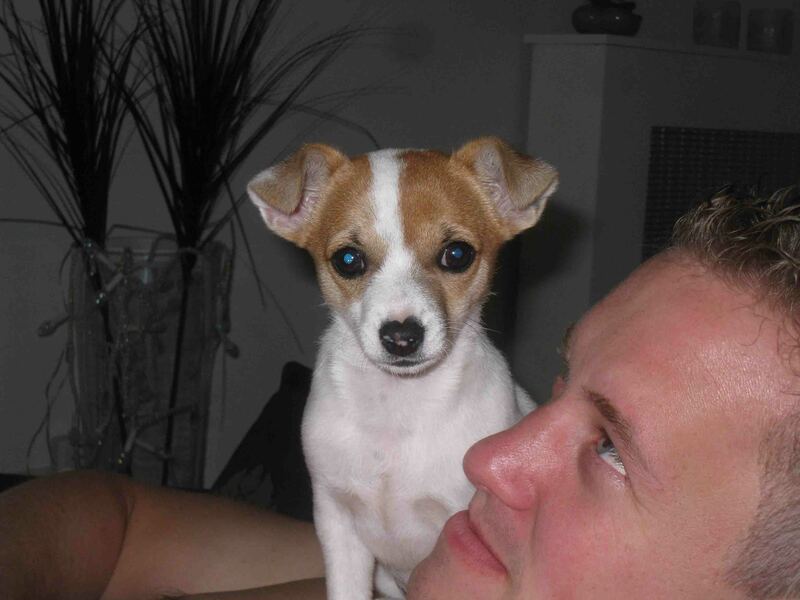 Is our Jack Russell. She's born 5th of december 1997. When I just met Claudy the dog was very angry to me. Now she's nice (sometimes). She has had babies for three times. She died 17th of may 2011. Bluba and Blub are cold fish. Only Blub died a few months after we got them. Now we only have Bluba left. Is our cat, our little house tiger. 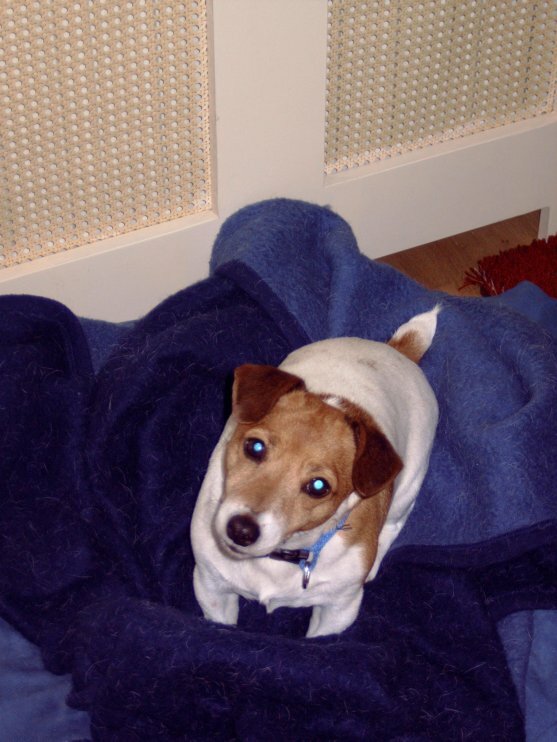 He came from Borkel & Schaft, he was born 4th of may 2004. Is Claudy's horse which officially is named Unique. He was born 27th of march 1995. Claudy already owns it since he was 1 years old. 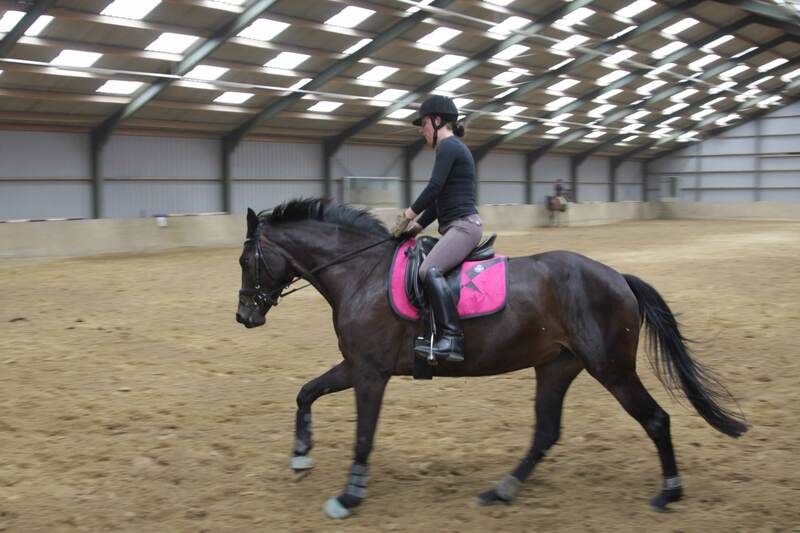 She's now riding dressage at level M1 with him. 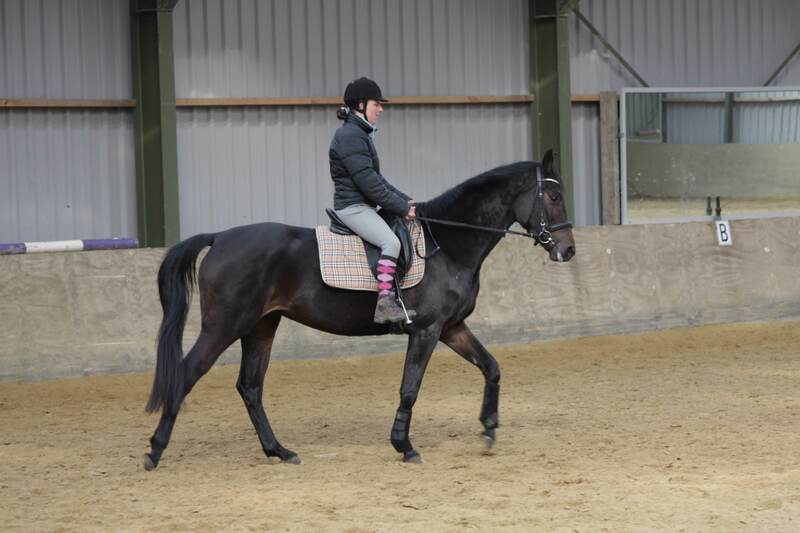 He is part of the KWPN Harness horse ("Tuigpaard") breed. In our house we also have 2 birds, parkeets. They make a lot of mess with their feathers, grains and seeds. Sometimes they are also noisy, but with a blanket on the cage they are quite. Is our first rabbit, he died in 2004. We didn't know when he was born. Is our second dog. She's an official registered French bulldog. She was born 28th of march 2002. After 3 years she wasn't able to get babies, so we got her. It's a nice dog but sometimes knorring a little bit to much also farting is her hobby. Is a rabbit, which we keep outside. He's already older rabbit, we got it from somebody who didn't want to take care anymore. Outside we also have some fish in the fishpond. We already had baby fish for two seasons. 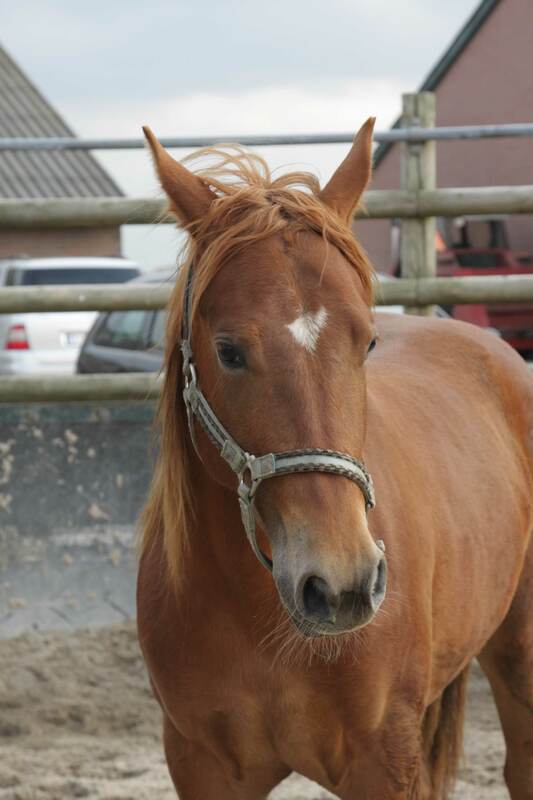 Is a female cat, born around the 16th of august 2007, we got it from the farm were the horse is located. Rebbel and Binky get along quite well. 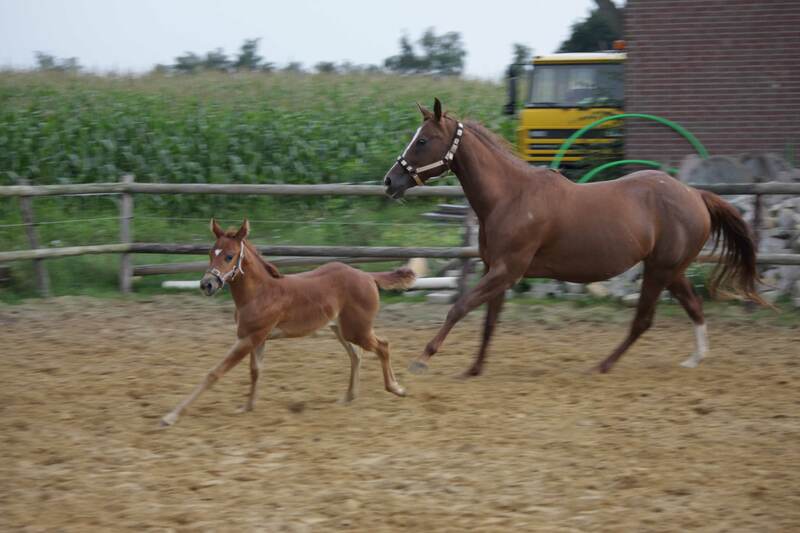 Is a female horse, officially Caylivia L, born 13th of April 2007. 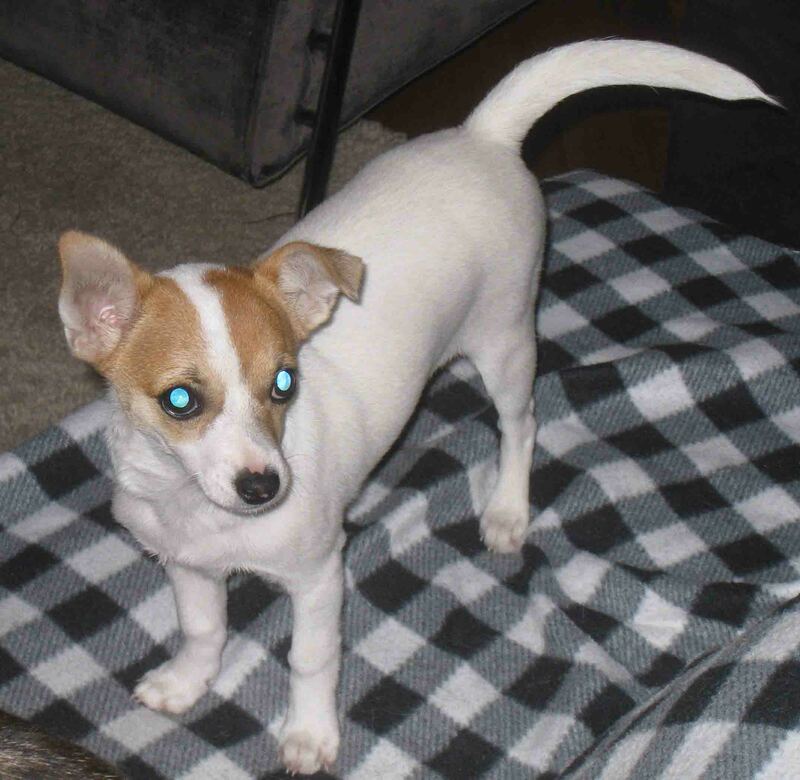 Is a female dog, mixture of Jack Russel and Chihuahua, born 10th of march 2011, Wuppie, Rebbel, Bodhi and Binky get along quite well.